Arkansas-based companies Tyson Foods, George’s Inc., Simmons Foods and OK Foods are each named as defendants in a civil lawsuit filed Jan. 25 by Florida-based restaurant operator Darden Restaurants in the U.S. District Court for the Northern District of Illinois, Eastern Division. The 143-page complaint outlines a price-fixing scheme plaintiffs say the entire poultry industry reached illegal agreements and restrained trade from 2008 through 2016 to charge higher chicken prices for wholesale customers like Darden and other purchasers in the U.S. The poultry industry has already been sued by several other groups alleging the same thing since the first suit was filed in late 2016. The class-action suit remains open. Aside from the Arkansas poultry companies, there are 14 other defendants named in the newest suit, including Pilgrim’s Pride and Sanderson Farms, and Agri Stats, a private data company. 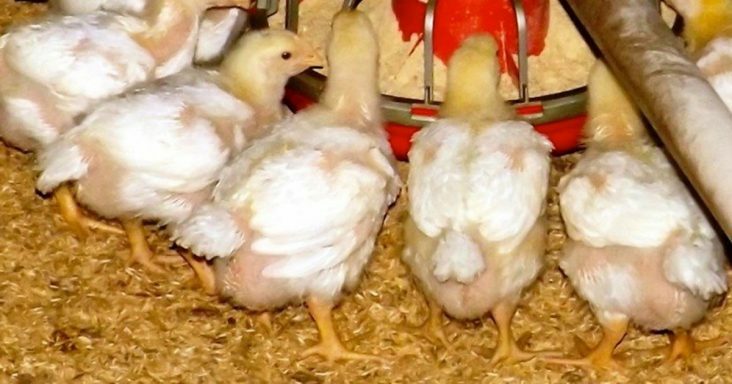 The suit claims Tyson Foods and its competitors reported a wide variety of data to Agri Stats, including information about its breeder flocks and hatchery capacity. The suit claims Tyson Foods and its competitors conspired to report artificially-inflated chicken price quotes to the industries benchmark pricing index — Georgia Dock. The federal complaint spells out a conspiracy plaintiffs say was pulled off with the help of Agri Stats that allowed the prices of chicken to rise, abandoning the supply and demand method which typically dictates commodity prices. The suit said Agri Stats knowingly played an important and active role in defendants’ collusive scheme outlined in the complaint. “Agri Stats used the instrumentalities of interstate commerce to facilitate the conspiracy, and its conduct was within the flow of, was intended to, and did have, a substantial effect on the interstate commerce of the U.S., including in this District,” the complaint said. This suit joins a similar complaint filed by Supervalu Inc. and other grocery store chains like Publix and Kroger in July 2018. Other pending suits regarding the same issue include: Action Meat Distributors, who sued the poultry companies in May 2018; BJ’s Wholesale Club, who sued the industry in August 2018 claiming poultry companies overcharged customers by more than $3 billion annually throughout an a 8-year period outlined in the complaints. Sysco and other food distributors filed a similar federal suit against the poultry industry in January 2018. Tyson Foods is also a pork producer and is a defendant in another suit filed by 13 grocery shoppers in June 2018. This suit claims consumers were overcharged for pork products they bought at retail. Products they say were processed by Tyson Foods, Smithfield, Hormel and other major manufacturers of bacon, sausage and ham. The U.S. Securities and Exchange Commission (SEC) also investigated Tyson Foods regarding the collusion and price fixing allegations after they first arose in late 2016. In August 2017, the SEC dropped the investigation saying it would take no action against Tyson Foods. One of the defendants in the original suit (Maplevale Farms v. Koch Foods) from 2016, Fieldale Farms, offered to settle a class action by agreeing to pay $2.25 million, to extract itself from the class action. Plaintiffs asked the court for final approval of this proposed settlement in late 2018. It is still pending. Tyson Foods has continually said the lawsuits around collusion and price-fixing are unfounded and it will continue to defend itself against the baseless claims.